Israel Police have tracked down a Palestinian who was allegedly beaten by the spokesman of Breaking the Silence, who was then serving as an IDF officer in Hebron, a source familiar with the case told The Times of Israel Thursday. 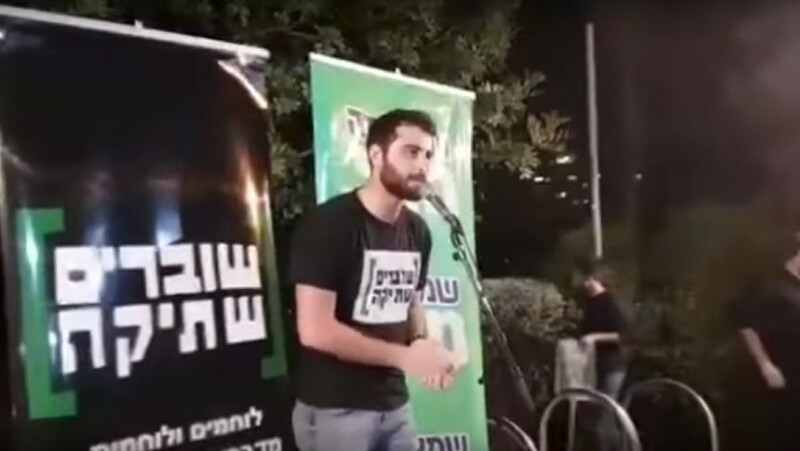 Police began investigating the case shortly after Dean Issacharoff recalled the incident at a Breaking the Silence rally in April as an example of how IDF soldiers are allegedly taught to use violence against Palestinians in the West Bank. Critics have dismissed the probe as a politically motivated attempt to damage the left-wing organization. 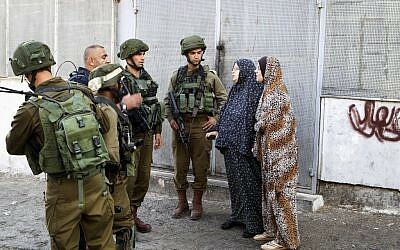 The source said that the testimony provided by the Palestinian contained discrepancies to that of Issacharoff, but the fact that the incident took place was not in question. Israel Police spokeswoman Luba Samri confirmed that the investigation had been completed and that the case had been transferred to the State’s Attorney Office, which will decide whether to prosecute. Breaking the Silence — an Israeli NGO that publishes the testimonies of former Israeli soldiers who report on alleged human rights abuses in the West Bank and the Gaza Strip — has raised the ire of Israeli officials and drawn criticism from those who question the authenticity of its mostly anonymous testimonies. The NGO’s spokesman Achiya Schatz told The Times of Israel that discrepancies in witness testimony are routine and that all the latest update proved was that those in Issacharoff’s unit who released a video claiming that his account never took place were, themselves, liars. During the rally in April, Issacharoff, an officer who served in the IDF between 2011 and 2015, recounted how his Nahal Brigade infantry unit was deployed in Hebron and would regularly confront stone-throwing Palestinian protesters. On one occasion, he related, his company commander ordered him to handcuff a Palestinian who was passively resisting arrest. Issacharoff described how, with his soldiers and commanding officer watching, he grabbed the Palestinian by the back of the neck and “began to knee him in the face and chest until he was bleeding and dazed,” before dragging him off to be detained. “As a soldier I never knew how to deal with someone who resists non-violently,” Issacharoff told the rally. Shatz pointed out that the assault only took place after company commander ordered Issacharoff to apprehend a non-complying Palestinian who had thrown rocks at soldiers. However, Lasky emphasized that Issacharoff has already taken responsibility for his actions and admitted to the incident while under police interrogation. “Now, the Justice Minister is expected to ask the police to demonstrate the same efficiency and to investigate the thousands of violent incidents perpetrated by settlers and soldiers against Palestinians,” Lasky said. 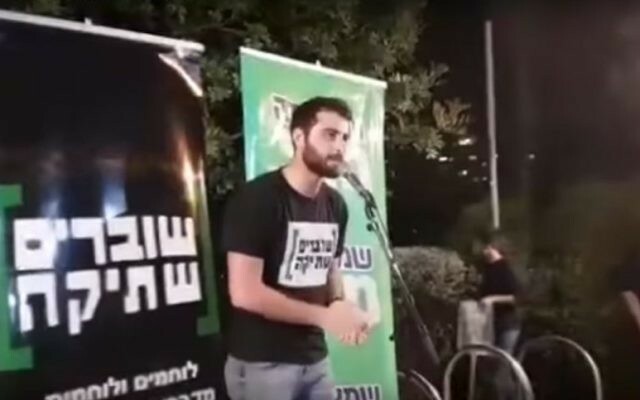 Police opened the assault investigation against Issacharoff in June after the video of him addressing the rally went viral. 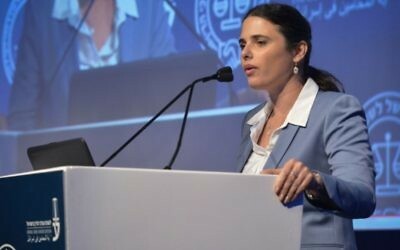 The probe followed Justice Minister Ayelet Shaked’s request of Attorney General Avichai Mandelblit to investigate the Israeli NGO’s spokesman on suspicion of war crimes. Shaked then told Army Radio that she sought to clarify if Issacharoff was telling the truth when he described an alleged incident in the West Bank city of Hebron, or if he was lying to discredit the IDF.